Congratulations because your quest for the best logo badges has now come to its logical conclusion. These PSD vector designs are the final word in all things related to your logo badges, with their incredible customizability and the ease of editing that Photoshop guarantees. Logo designs form an important aspect of product development and brand asset management, which means that you’ll want to spend a reasonable amount of time searching for the one that fits you best. 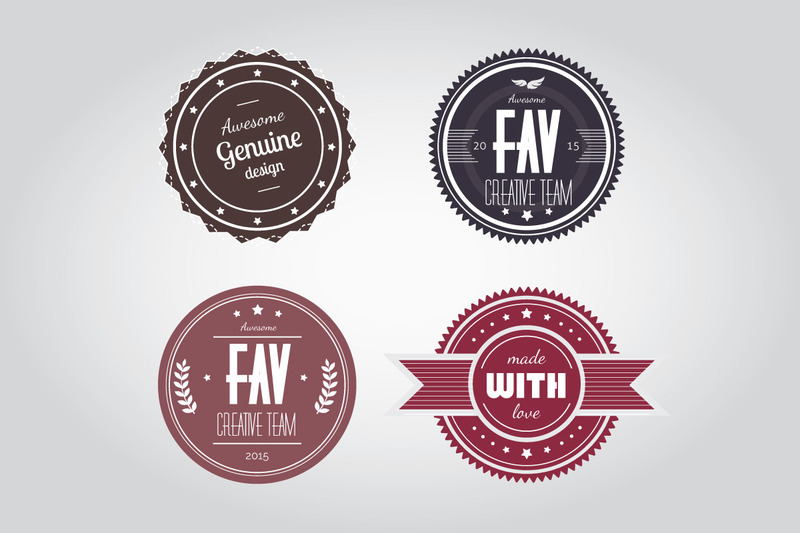 Let us make it easier for you, with our collection of the best free logo designs. Creating your own logo might be far easier than you thought, because with the right fonts, some basic designing acumen and our perfect free logo vectors, you’ll have a great logo in no time at all! The best thing about this is that the PSD vector format allows you to download it right into Photoshop, letting you get started on your project at once! Without complicated brushes and other graphics, all you need to do is download one of our logo templates onto Photoshop or Illustrator. It doesn’t matter if it is a flower logo or a hi-tech and minimalist design; as long as it is something that you feel is right for you, just go ahead with it. With a wide range of background designs, patterns and themes, these logo vectors are perfect for near about every designer or company.